A friend of mine likes to share her nightly dreams with me in an effort to better understand her spiritual journey. 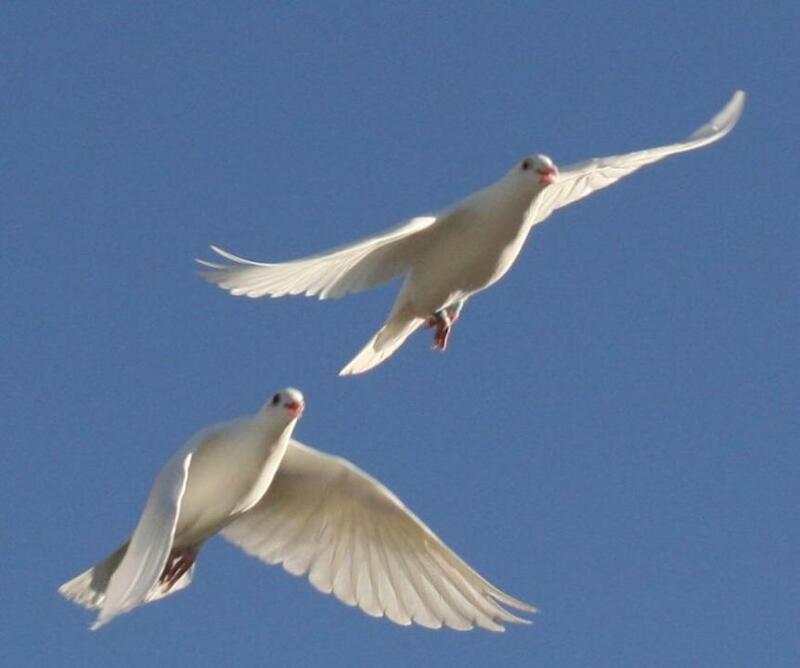 In last night's dream, she (I'll call her K) saw white crosses that transformed into beautiful white doves. In this transformation, she said she felt an immense and immediate release. In the course of our discussion, I expressed to her that her dream was about moving beyond the confines of religion into the freedom of spirituality, to which K replied, "That's so strange! That's been on my mind." Our nightly dreams are one way we receive spiritual messages. Ever since I was a child, dreams have held special significance for me. At the time, I didn't understand why, but I inherently knew they were trying to tell me something, so I started keeping dream diaries where I detailed each dream, as well as my thoughts and feelings surrounding the images that made that made themselves known. While many of my dreams proved prophetic, others spoke through the language of metaphor and symbol, and I learned to decipher their meanings for my life. Some I take as guidance, while others are warnings. Some offer me new knowledge and insights, while others present solutions to issues I may be facing. I look forward to learning from my dreams and I trust their messages. For most ancient cultures, dreams and visions were often considered direct communication from the gods. People traveled far and wide to special temples for the privilege of consulting with a priest or oracle about their dreams. In the Bible, we see numerous references to dreams and visions (over 700 of them). In the Old Testament, stories of Jacob and Joseph revolved around the messages of dreams. Jacob dreamed of a ladder connecting Earth and Heaven, with angels climbing and descending it. Joseph, after having been sold into slavery by his brothers, interpreted dreams for Pharaoh. In the New Testament, Joseph is informed in a dream that Mary is pregnant with Jesus. He had another dream in which he received instruction to leave Egypt with Mary and Jesus to escape Herod's butcherous decree. But dreams fell into disfavor with the Church when the mistranslation of ancient texts confused dreams with divination and the black arts (witchcraft). And as cultures developed, significance in dreams waned, until it was revived by psychoanalysts Sigmund Freud and Carl Jung. Dreamwork takes patience and discipline, but it doesn't require years of study, extreme fasting, or any kind of deprivation. Instead, it starts with intention. Pay attention to patterns. Begin keeping a dream diary or journal. Any notebook will do. Keep it by your bedside. The moment you awake from a dream, record what you saw and felt. Keep track of certain symbols and objects that appear, and ask yourself what they represent to you. Some will lend themselves to obvious interpretation, while others may take some work. Notice patterns that begin to emerge. Make note of what is happening in your life at the time of your dreams. Make connections. Pay attention to dreams that produce strong emotional feelings. Note the things that stand out the most in your dreams and your emotions surrounding those images or symbols. These will be key to figuring out the message. Emotions that we may repress during the day will shake loose in our dreams and can come across as very intense. Check these emotions against what is happening (or not happening) in your life. Pay attention to dreams that "haunt" you during the day. This kind of dream nags at you until you examine it, or certain images from your dreams may randomly pop into your mind (without any prompting from you) throughout the day. This means it really wants your attention. It could be issuing you a warning or some other important knowledge that will not go ignored. Pay attention to recurring dreams. This can mean two things. Sometimes dreams occur more than once to make sure we are getting the message. This can happen over a couple of nights, or you can dream the same dream (or a similar one) weeks apart. Examine what is happening in your life when these kinds of dreams occur. Sometimes recurring dreams occur because there is an unresolved issue in our lives. This may take some soul work on your part to resolve the issue. More often than not, once the issue is resolved, the recurring dreams stop. In K's case, her dream is one that is laden with transformation. She experienced bliss and a "strange but beautiful feeling," as she described it. After discussing it, she realizes it as a confirmation of the path she has chosen for herself, one that initially caused some reservations within her because of her traditional religious upbringing and the guilt associated with moving away from a path that was clearly not serving her spiritual advancement. Dreams are part of the universal human experience, yet they are uniquely tailored to each of us. They will reveal their messages when we open ourselves up to them and request their guidance. Understanding our dreams is like learning a new language with its own set of personal symbols, but as we become aware, they will guide us in our interpretations on the spiritual journey. How have your nightly dreams helped you in your life? That is interesting about your friend feeling a release. If looking into someone's dreams helps them, then I'm all for it. Many years ago, I did a lot of study on dream analysis and today, my belief is that the main thing to take from your dreams is how do you feel in them. In other words, what is the dominant vibration in the dream? Are you afraid, happy, unsure, excited, nervous, etc. Especially in the moments as you wake up. That is a key indication as to where your dominant vibration is. The good thing is regardless of what your dreams tell you or where you are vibrationally, you can at any moment improve it starting right then. 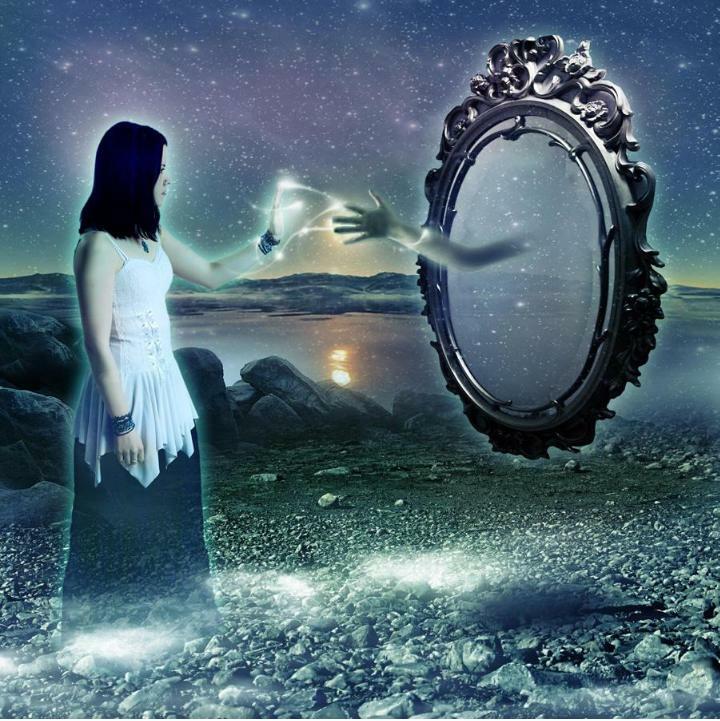 Penny I loved your articles on dreaming I am doing an Energy Mastery course that touches on this and found it amazing! Thanks for reading and taking the time to comment, Cheryl. I appreciate it. Your Energy Mastery course sounds like a great resource! That is quite true. My dreams do not follow any pattern but I ma sure they reflect my state of mind. My inner feelings which are hidden find a space in my dreams. Yesterday itself I watched a supernatural flick & I had a corresponding dream. I was flying in the sky trying to save myself from some bad power. Related isn't it! Yes, Sweety, dreams do reflect our inner state of mind, even when we are not aware of our state of mind at times, or we are not paying attention to it. In your dream of flying away from some bad power, only you would know what that bad power represents in your life, and your ability to save yourself from it shows that you have what it takes inside of you to resolve it. Thank you for your comments. Happy dreaming! I loved reading you post this morning Penny, you write so well. I am a heavy duty dreamer. I love to dream as I find it so fascinating that our subconscious mind can take over in such a powerful way when we sleep. I am so acutely aware of my dreams and having dreamt (dreamed) them, whereas, my husband has a difficult time remembering if he dreamt or not. I have, at times, received great inspiration and/or a particular idea through a dream. I've painted pictures and written poetry, quotes and sayings from what I've received in my dreams. I love when that happens! Thanks again for another Great post Penny! Gena, thank you so much for your comments. It seems you have an active dream life, too! Mine are so vivid and real at times that up on waking, I say, "Wait a minute...that was a dream?" Ha Ha. But, like you, I find inspiration in them. Thanks for sharing! Blessings to you, too, my friend. Indeed, Carolina! The fact that we dream is fascinating to me, too. Keeping a dream journal will prompt you to begin asking questions of yourself, and soon you will find yourself knocking on your own door... you will find yourself on an interesting journey for sure...good luck with the dream journal! Tasmin, it is a pity that we aren't encouraged to examine our dreams when we are younger. It is such a helpful, introspective tool to guide us on our life's journey. Thanks for your comment! Penny, your comment on my blog can only be synchronicity in action from one dreamer to another. I am an active dreamer and Dream Guide and have been recording and analyzing my prolific and vivid dreams for years. I enjoyed your post which is an excellent testimonial to the nuggets held in our dreams. We each attribute our own meaning to them, to the metaphors, symbols and words. I'm part of a dream circle and also conduct dream circles in my home. Dream work is a major tool in my coaching toolbox. That is wonderful, Deb! Dream work is an excellent tool to use in our daily lives and in our spiritual walk. Thank you for helping others with your dream circle!